Follow the story of Molly Gibson, only daughter of a widowed doctor, as she lives in a provincial English town of the 1830s. 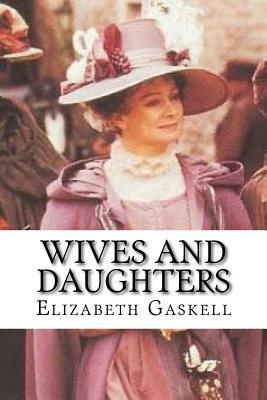 The novel was first published as a serial and when Mrs Gaskell died suddenly in 1865, it was not quite complete, so the last section was written by Frederick Greenwood. I never said she did not. I knew there was one visitor of the name of Browning; I never knew there were two, but, of course, as soon as Lord Cumnor heard there was another, he must needs ask her; so the carriage will have to go backwards and forwards four times now to fetch them all. So your daughter can come quite easily, Mr. Gibson, and I shall be very glad to see her for your sake. She can sit bodkin with the Brownings, I suppose? You'll arrange it all with them; and mind you get Nanny well up to her work next week.' Just as Mr. Gibson was going away, Lady Cumnor called after him, 'Oh by-the-bye, Clare is here; you remember Clare, don't you? She was a patient of yours, long ago.' 'Clare ' he repeated, in a bewildered tone.